If you weren't living under a rock several months back, you probably know that everyone in the beauty blogging world seemed to be talking about the Milani Bella Eyes Gel Powder Eyeshadows. Because I follow every development in the beauty world like it's my job, I certainly heard about them but I didn't rush out to buy them. Not because I had any real doubts about the formula or quibble with the price tag (just about $4.99 each here in most drugstores in NY) -- I just know my makeup habits well enough to understand that single eye shadows don't get as much play in my routine. I'm much more likely to grab a couple of palettes where I have a wide selection of colors to choose from each morning than a few singles -- it's just how I am. But Milani was on sale BOGO-1/2 off at CVS recently and I was pretty intrigued so I decided to pick up a couple. 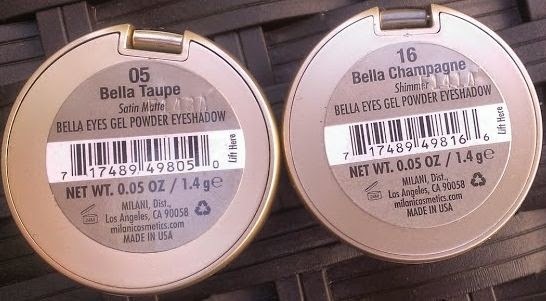 The range includes a ton of interesting colors -- , to be exact -- but I decided to go with two basics that I would get plenty of use out of, Bella Taupe and Bella Champagne. (Do any other makeup collectors experience the same conundrum that I do when shopping new products? I tell myself that I should get new products in shades that I don't already have some version of in my collection, but chances are that if I don't have a shade like that already, it's because I don't wear it that often. So do I buy shades that are probably dupes for something I already have but that I wear regularly or do I buy wilder, out-of-my-comfort-zone shades that I likely won't wear as much? Bella Taupe is a cool brownish taupe with a satin matte finish, while Bella Champagne is a shimmery pink champagne shade. I'm not sure what difference the gel powder formula is supposed to make, but these shadows are quite nice. They're pretty pigmented and feel very smooth so they apply easily. With my usual shadow primer, they last all day too. 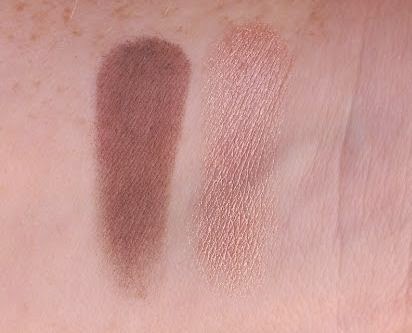 The two shades I chose are lovely -- I wear them together quite often for a nice, simple eye look, but I also find they're handy to pair with plenty of other shadows in my collection. Bella Champagne is a lovely lid color -- it's quite similar to Urban Decay's Sin actually -- and Bella Taupe is really nice crease shade. While taupe isn't exactly a unique color, this one is a nice cool brown, which is harder to find in my experience than you might think. I think these are a great drugstore eyeshadow option -- and there are plenty of great colors to choose form so there's bound to be one to float everyone's boat. I might pick a couple more up myself, actually. Bella Copper is totally calling my name. 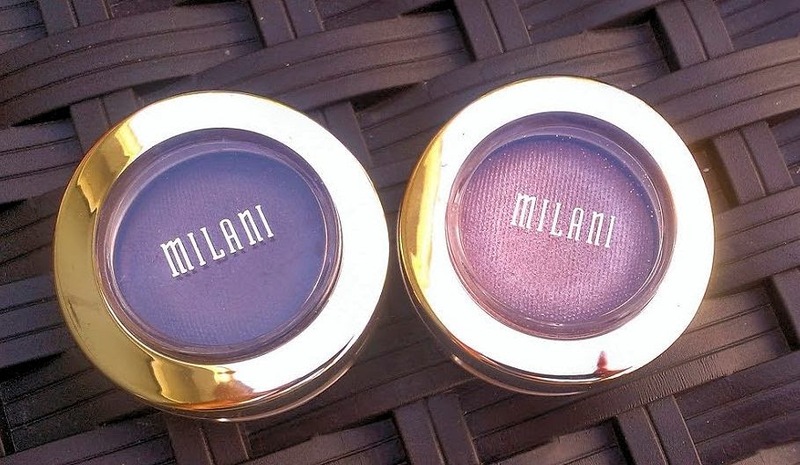 Have you tried the Milani Bella Eyes Gel Powder Eyeshadows? Which shades are your favorites?